The ultimate embrace is to allow the ribs to weave together, becoming inextricably bound. As the bodies overlap in union, the two rib cages slide into one another so deeply that sternum and spine nearly touch. Two separate cavities join to form another, creating the bowl of the basket. 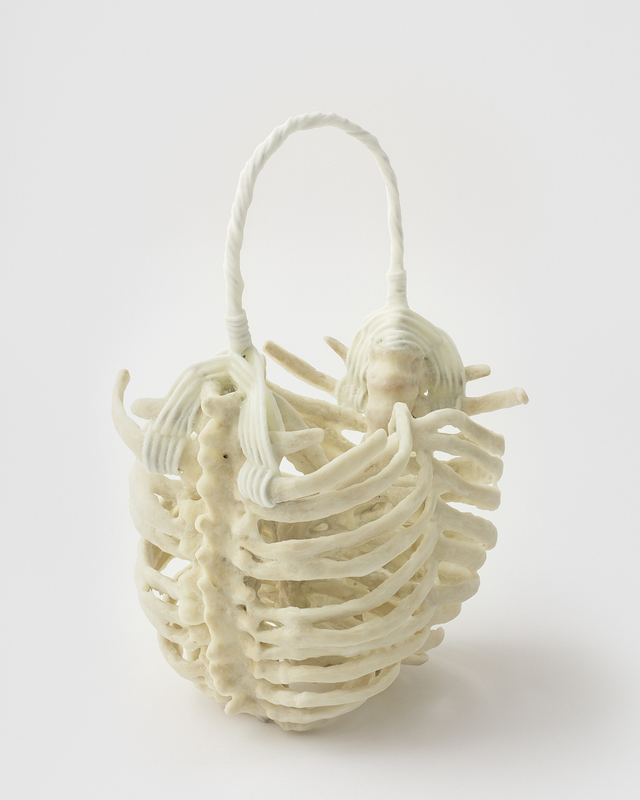 The center of the basket opens into the space of the absent hearts. The reed of the handle replaces the spinal chord and twists together to complete the form. 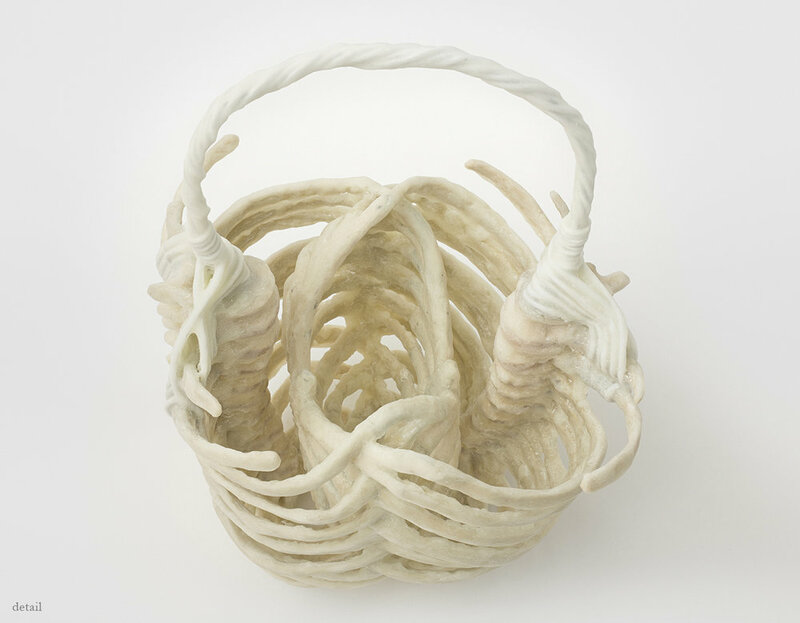 A new gesture is implied, the handle awaits the hand, the basket waits to be filled.